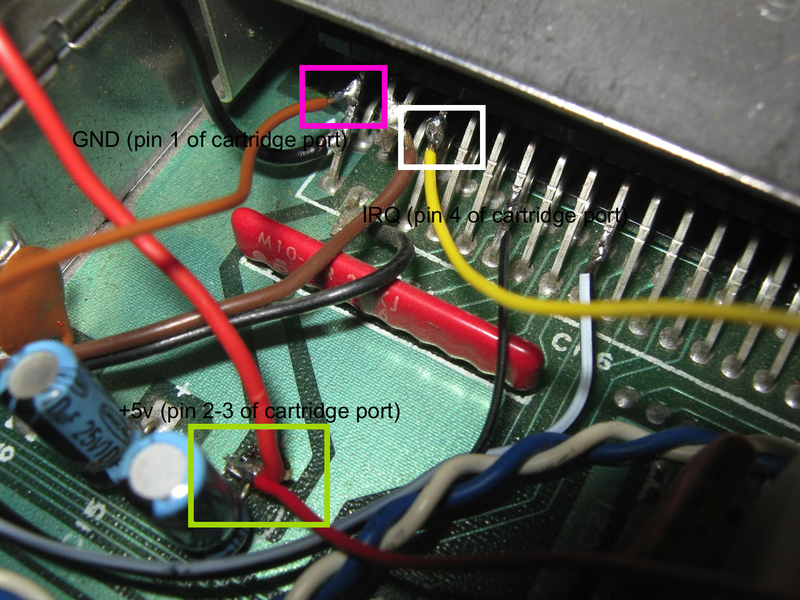 I have used the same hole of the RF cable for the composite video and audio cable. 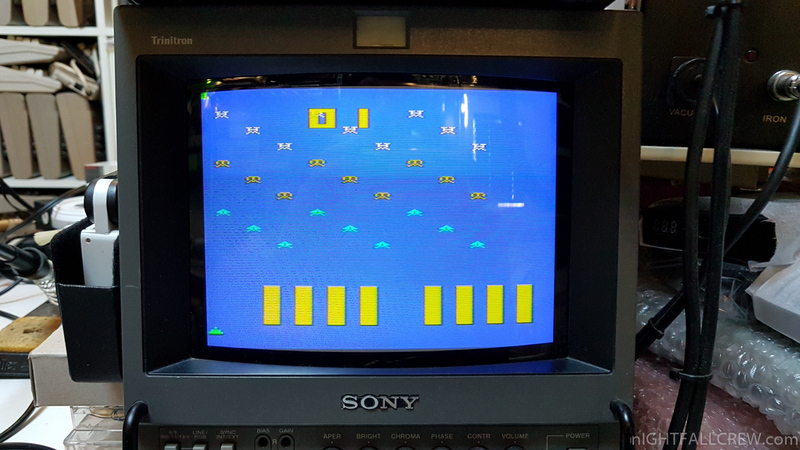 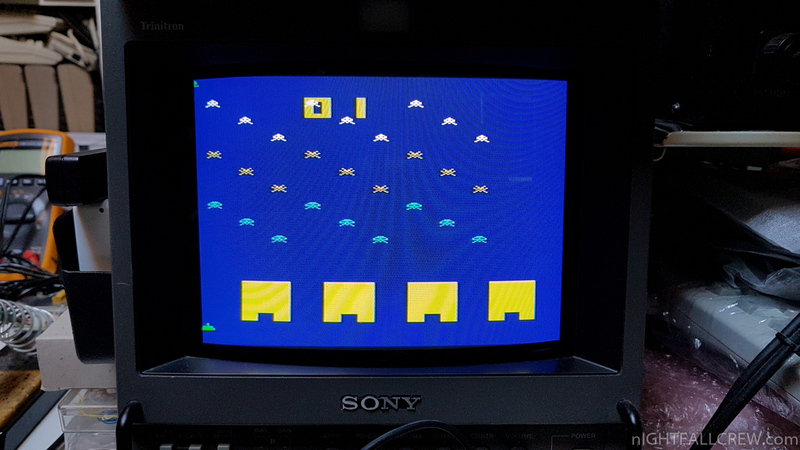 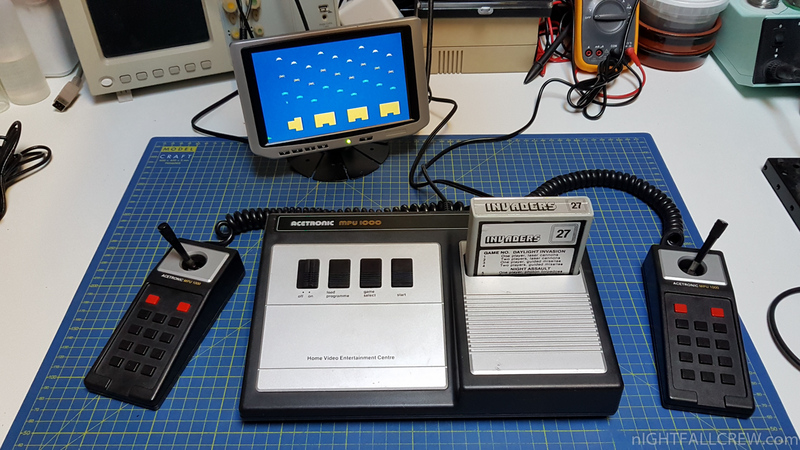 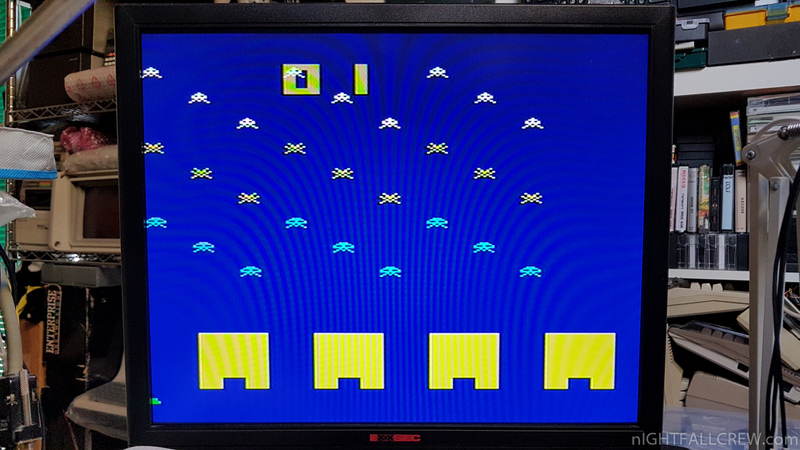 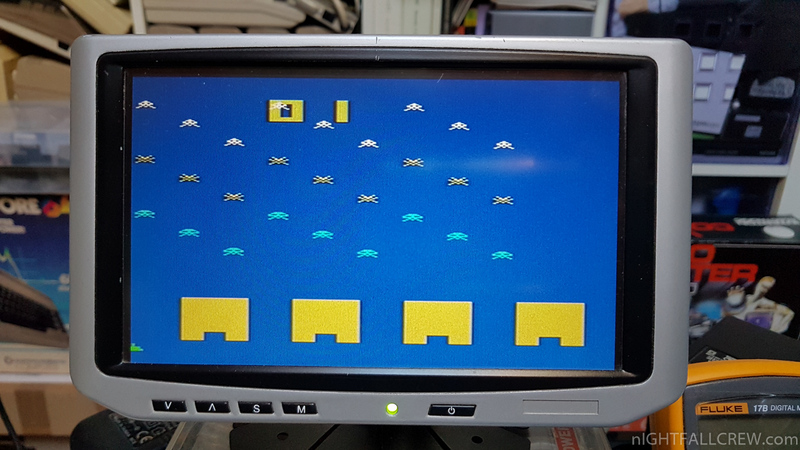 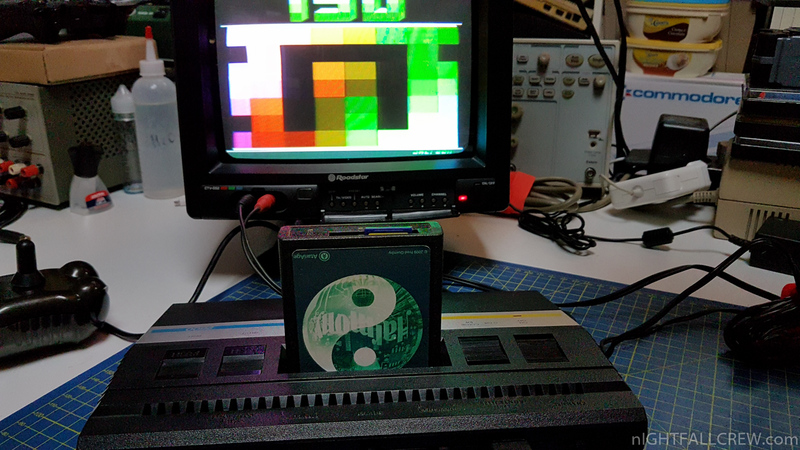 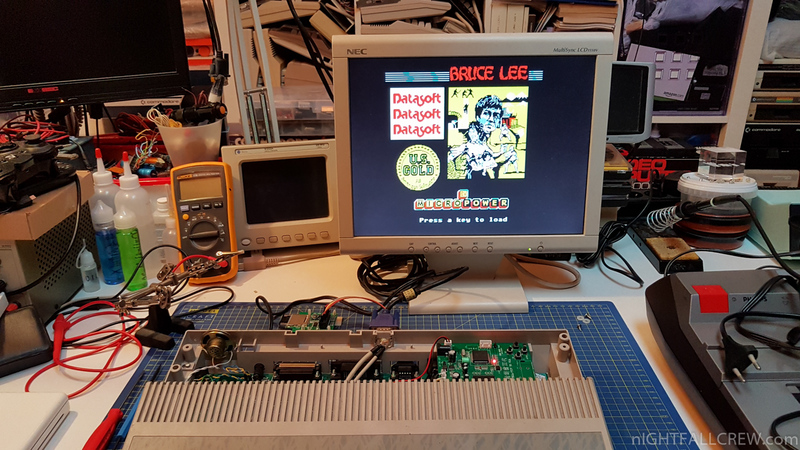 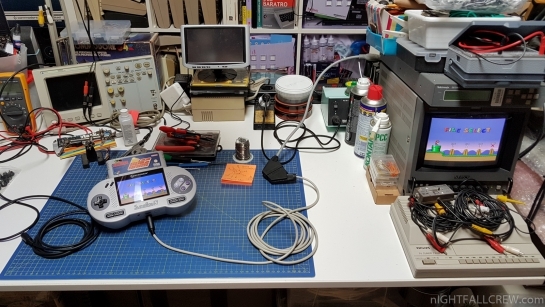 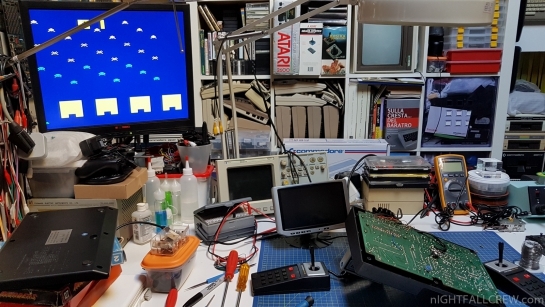 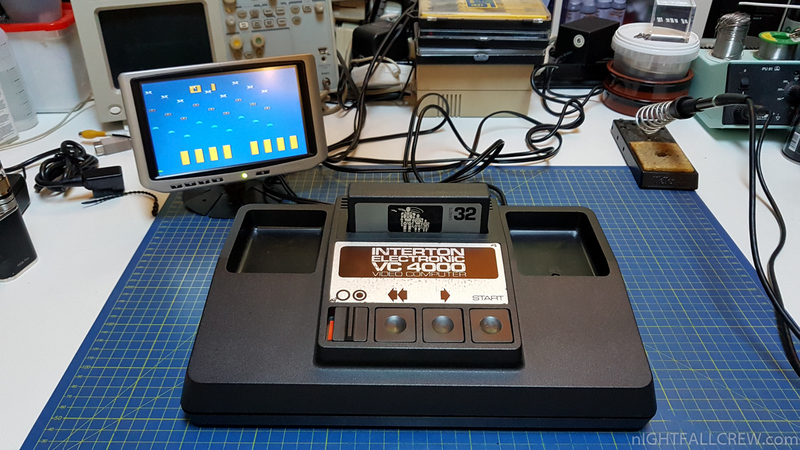 This Video Composite MOD needs some work unlike other similar consoles, you need to remove a resistor and insert a trimmer, otherwise the Video Composite output signal is really bad. 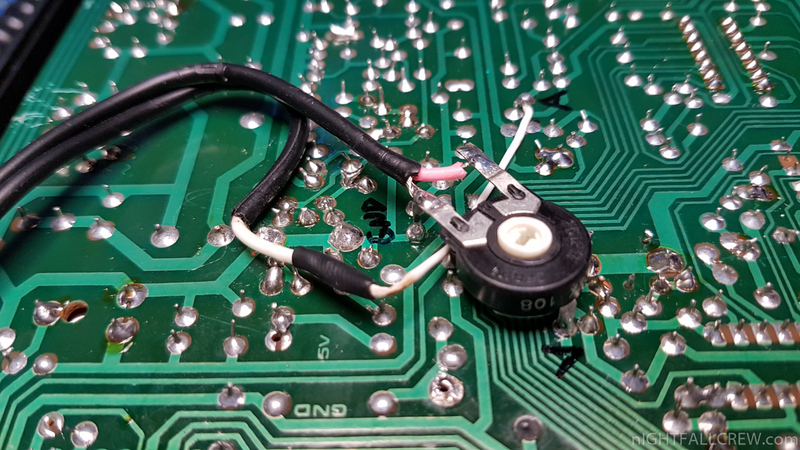 Use the same hole of the RF cable for the new video and audio cable. 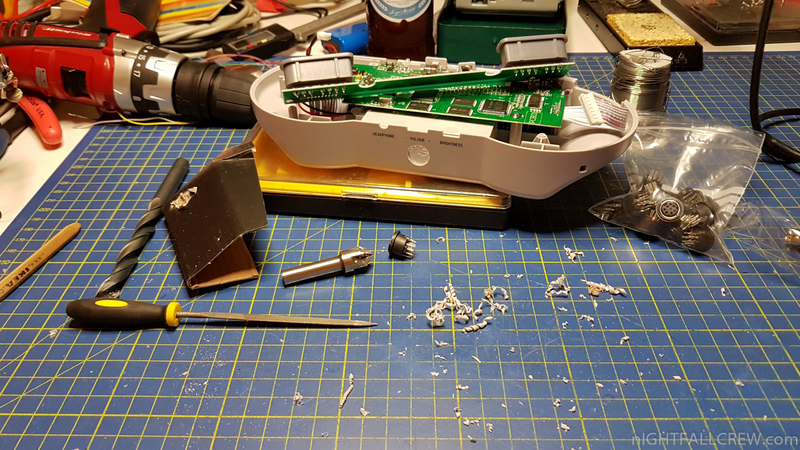 Before closing everything i recommend to adjust the trimmer for the best Video output. 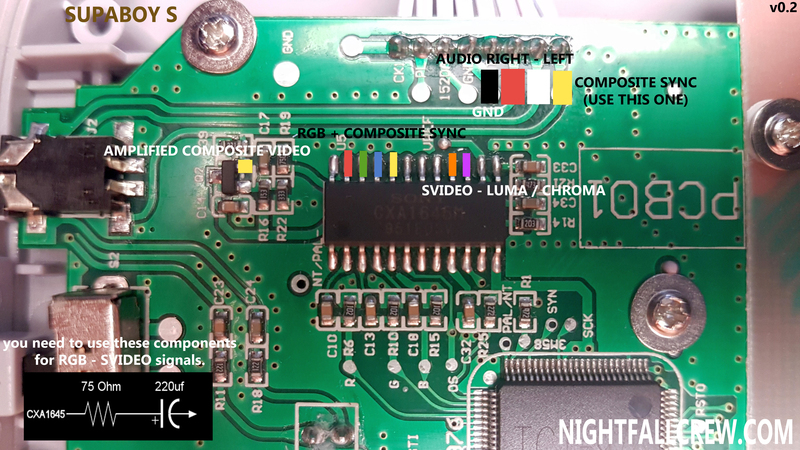 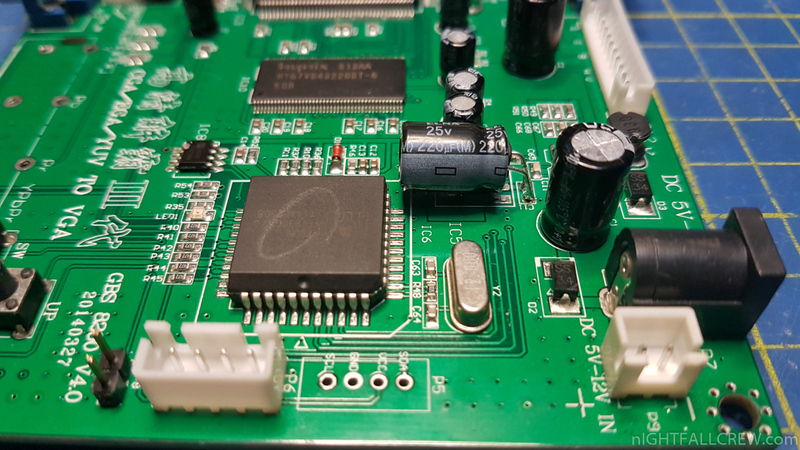 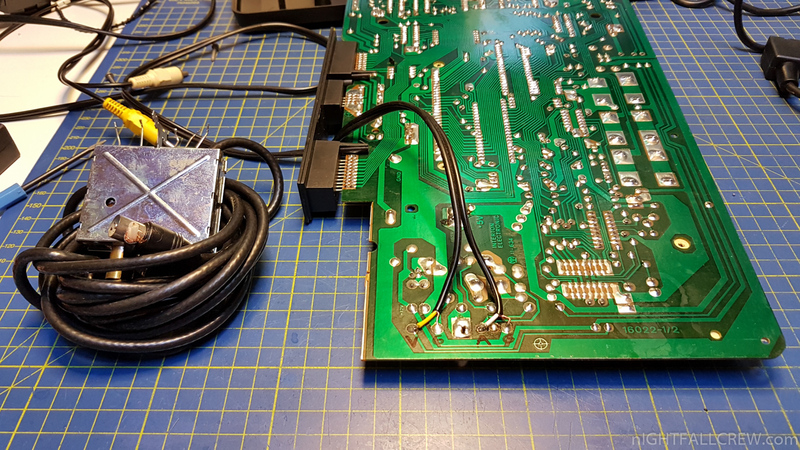 This is a very simple composite video and audio mod for the Interton VC4000 console. 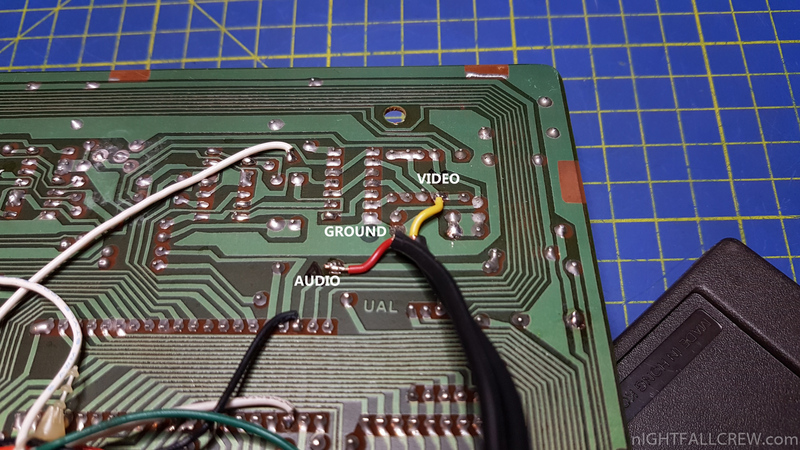 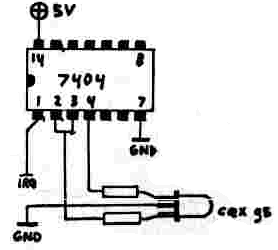 You need to remove the RF modulator (recommend to removing it completely) by removing all pins and then connect the video (V) Audio (A) and ground (G) signals like the photo and then use the same hole of the RF cable for the new video and audio cable. 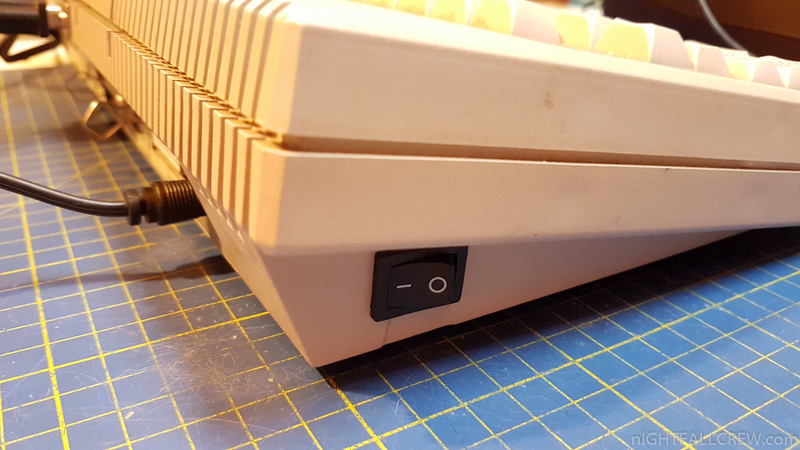 I found in the box of the rubbish dump two Olivetti Prodest 128S that was given to me long time ago by a dear friend: Andrea Pierdomenico. 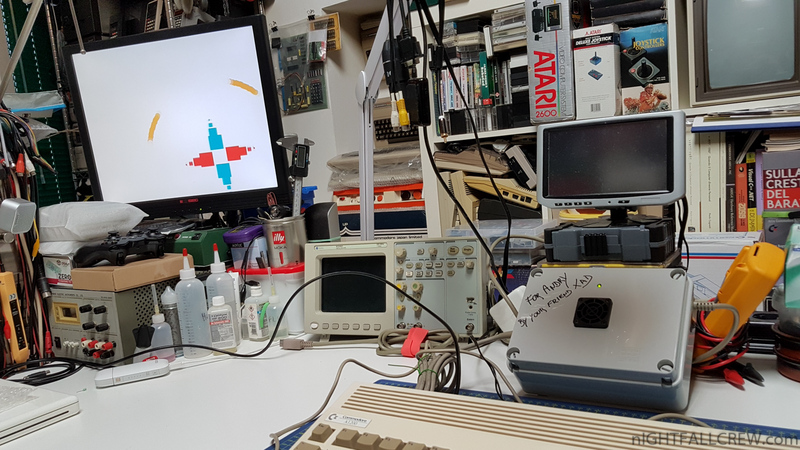 Both computers are without the Floppy Drive and Power Supply external module. 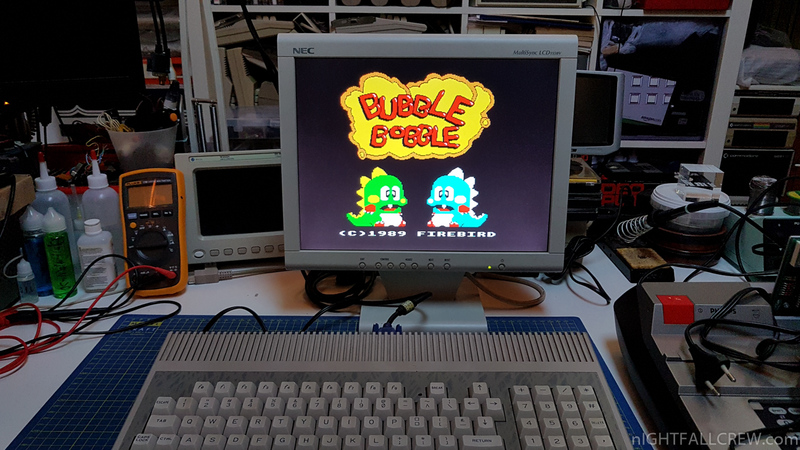 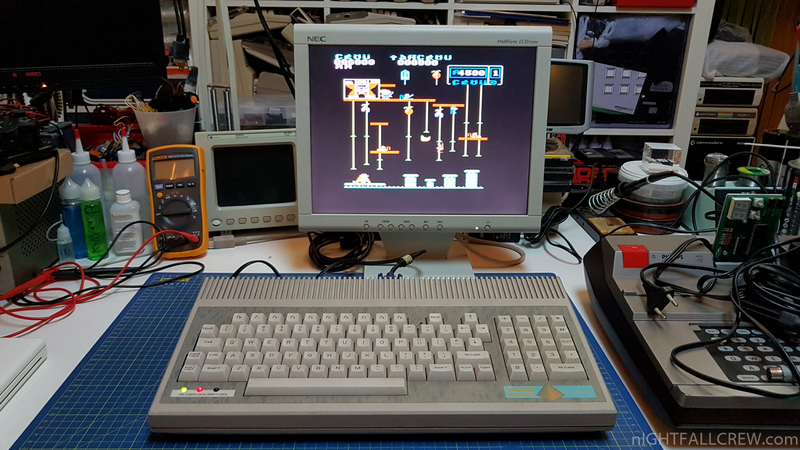 I chose one of two in a better conditions and i did a modding to use it with a VGA Monitor and SDCARD instead of Floppy Disk plus some extras. 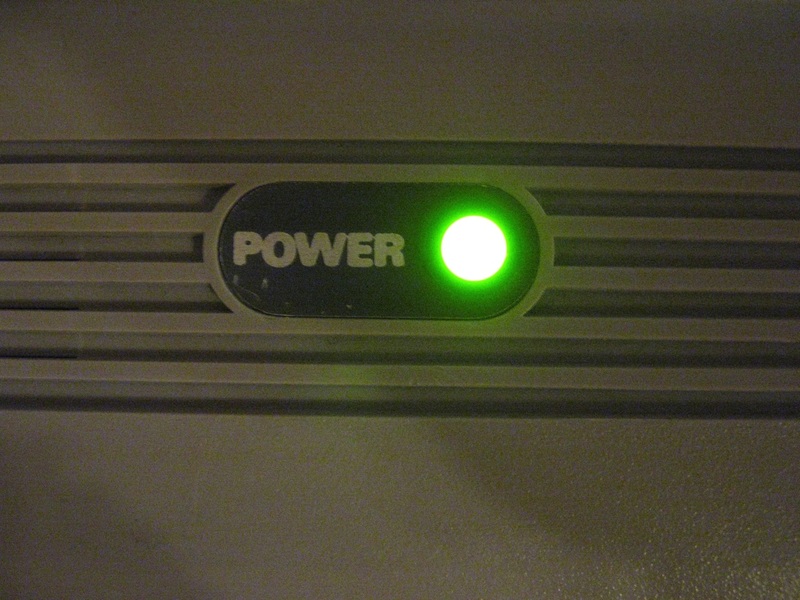 GBS8200 v4.0 for VGA Output installed inside the case. 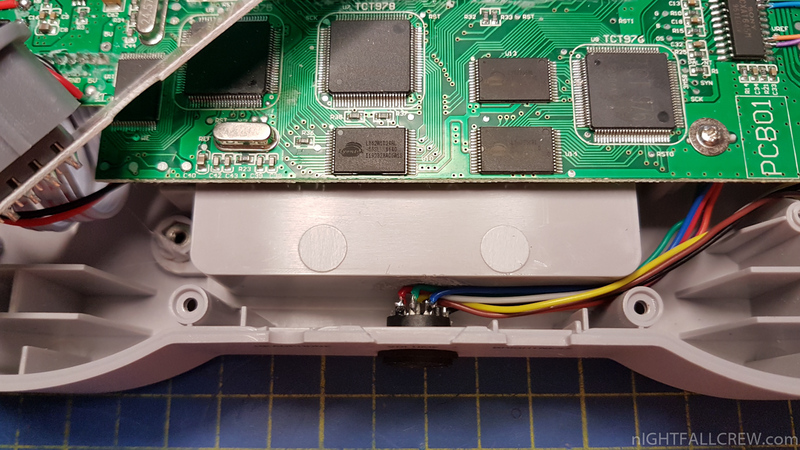 Removed the Input Video signal connector (YPbPr) of the GBS8200 because they cause problems to closing the case. 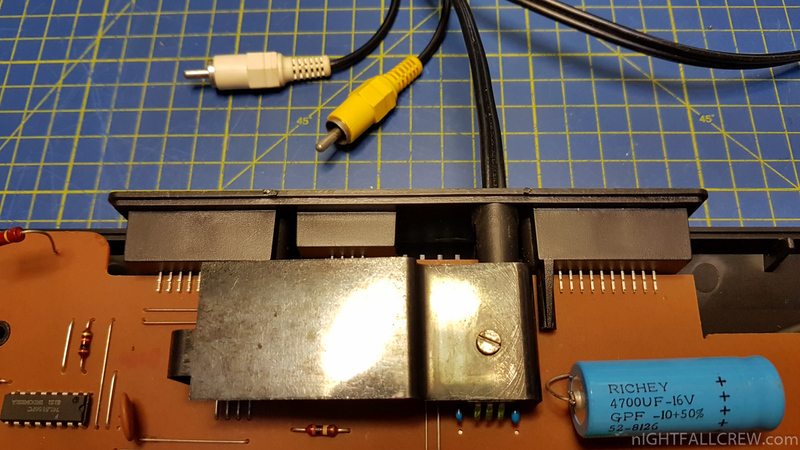 Cutted two pcb track for the Power Switch. 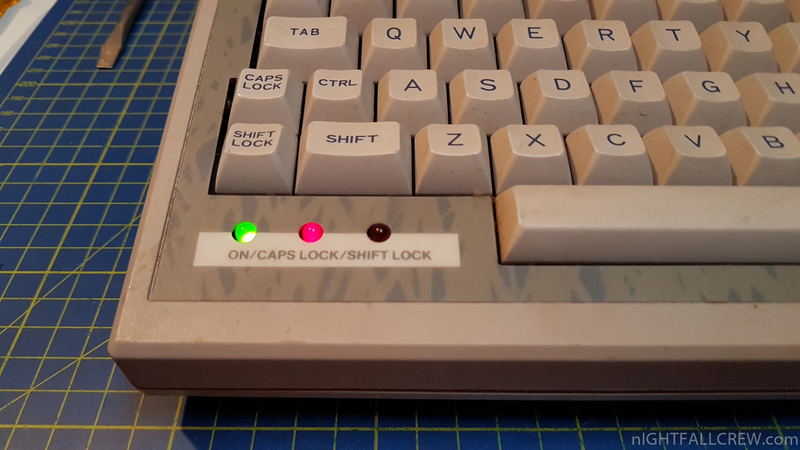 Replaced the Power LED (RED) with a GREEN LED. 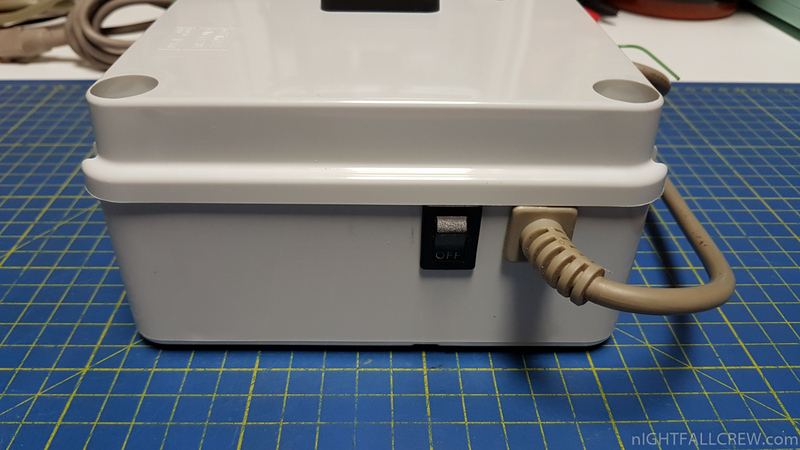 External power supply (5v / 2.5A). 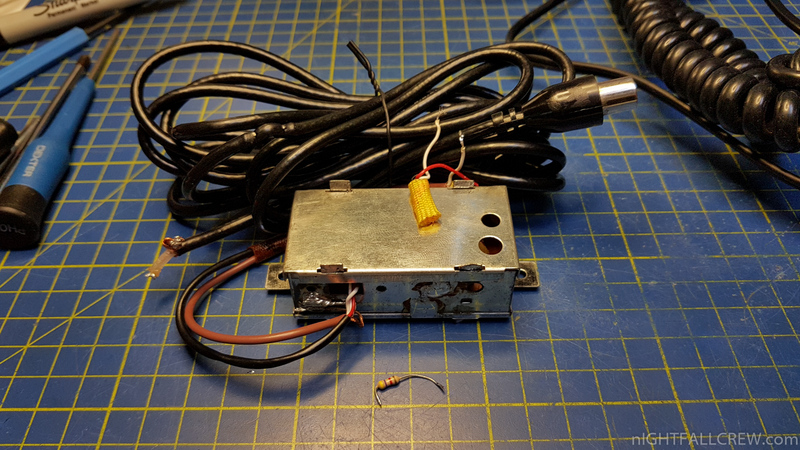 Installed a potentiometer (10K) to adjust the speaker volume. 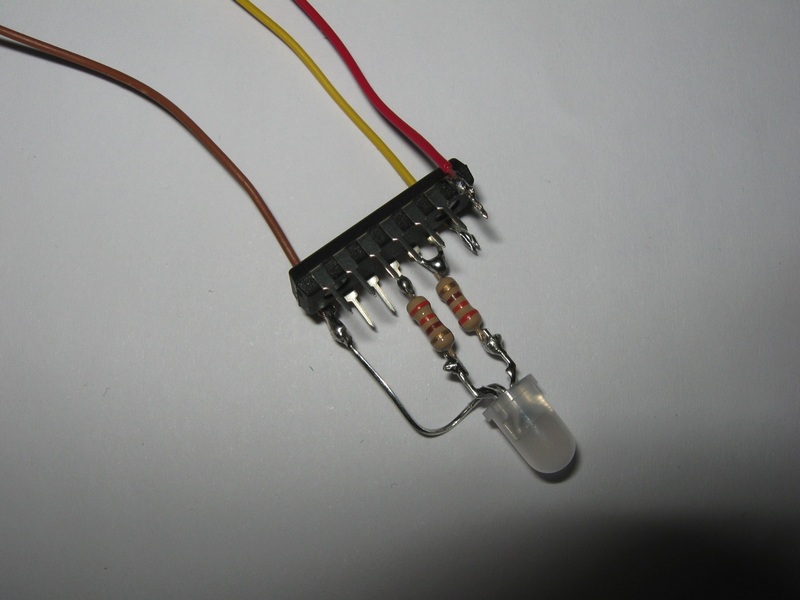 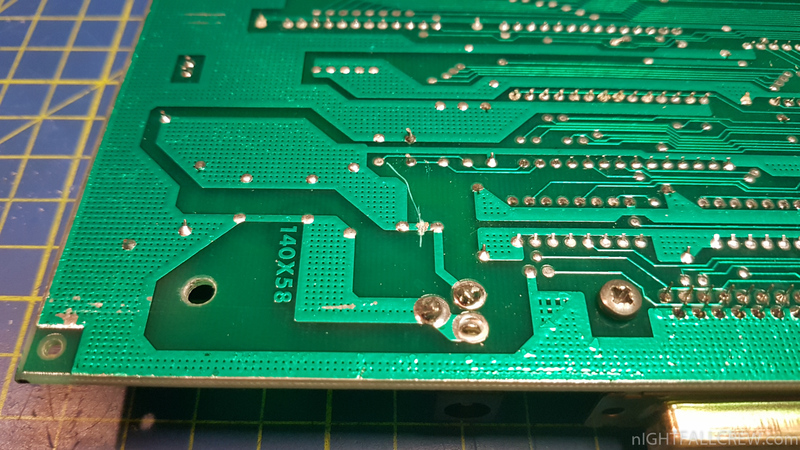 Cutted one pcb track for the potentiometer, otherwise the external volume adjust don’t work. 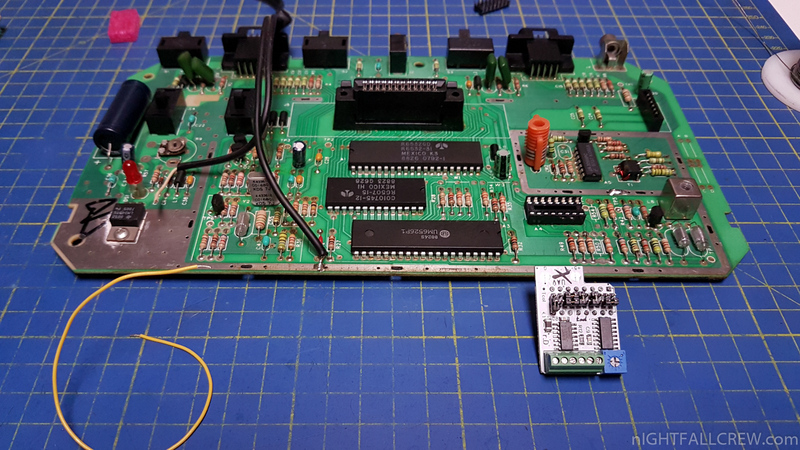 TurboMMC installed (see the pinout for the internal installation). 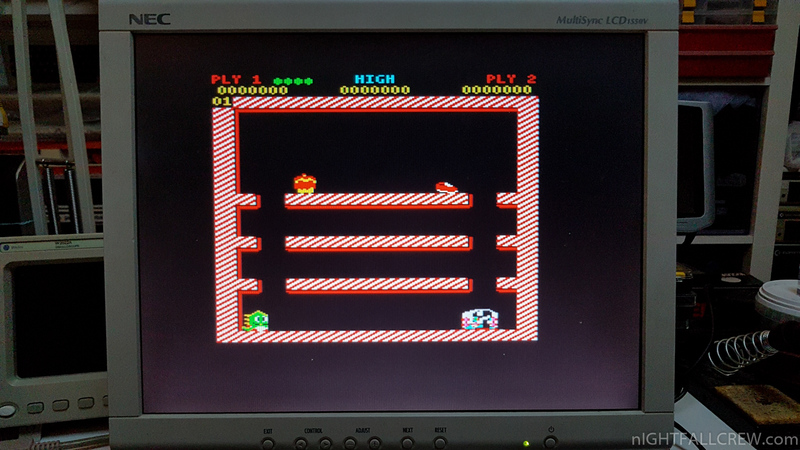 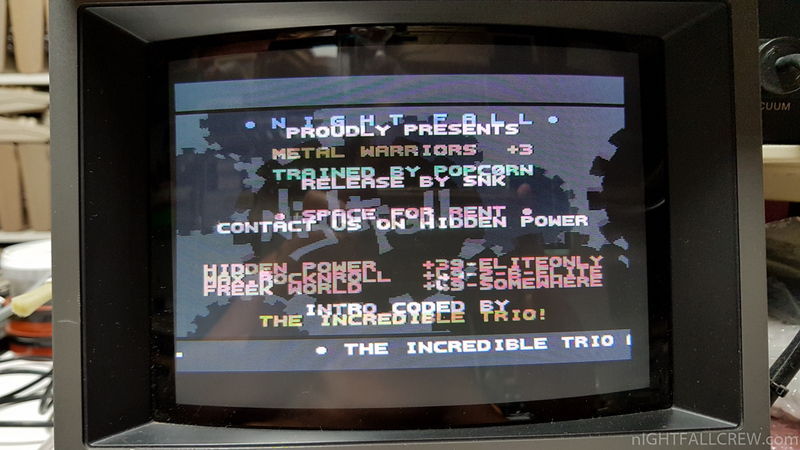 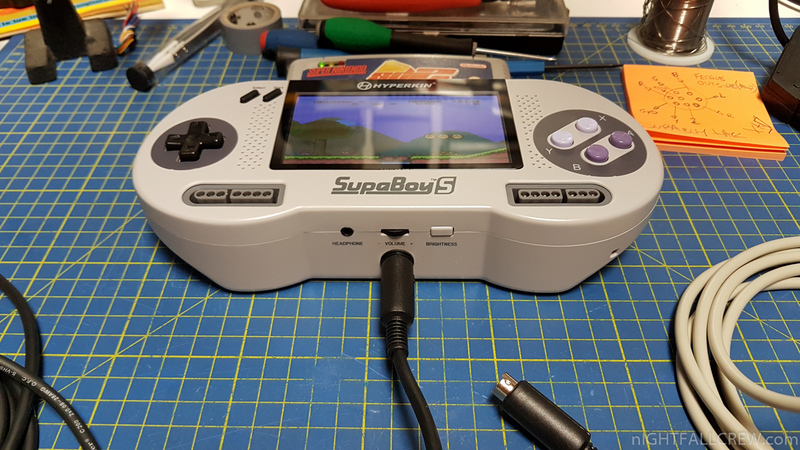 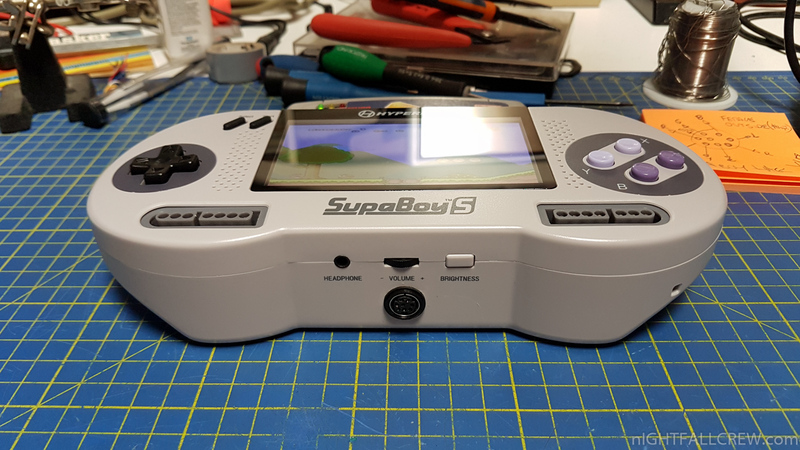 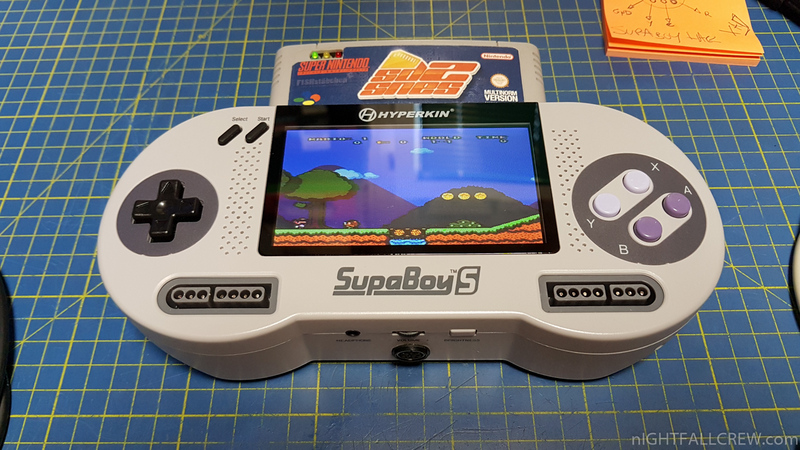 I have decided to make this hack because the native video output of the Hyperkin Supaboy S is really bad, uses the composite video. 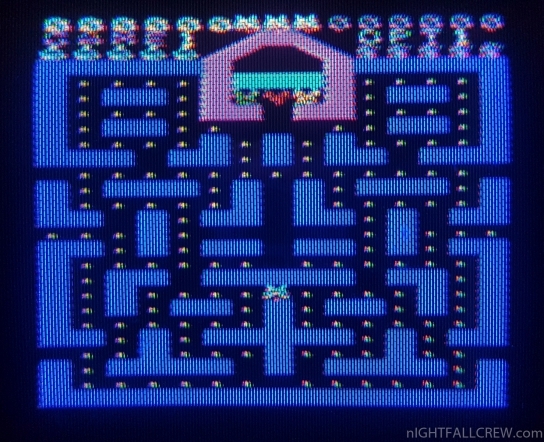 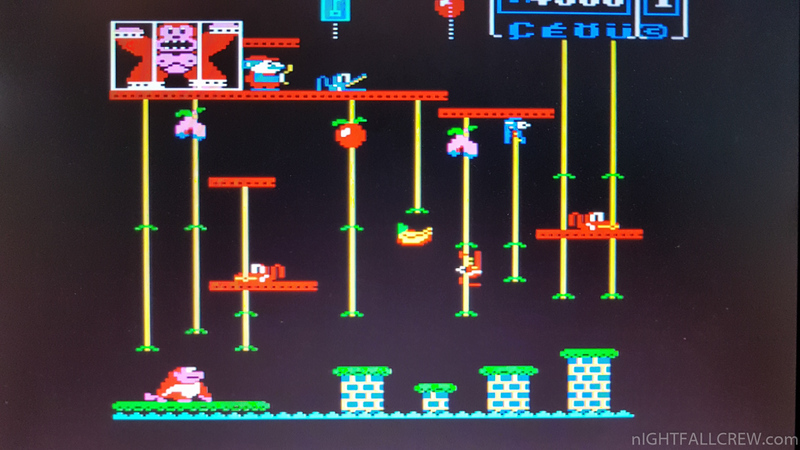 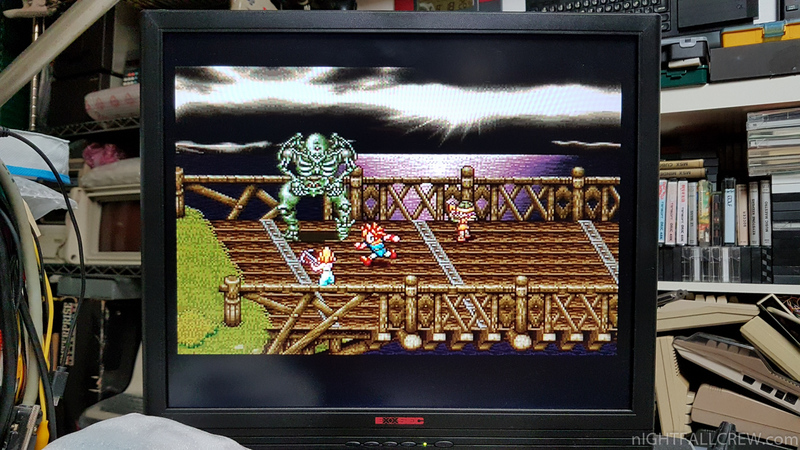 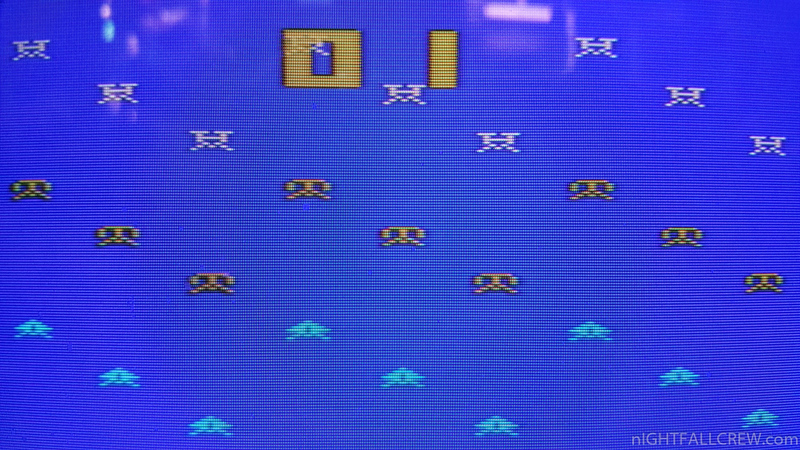 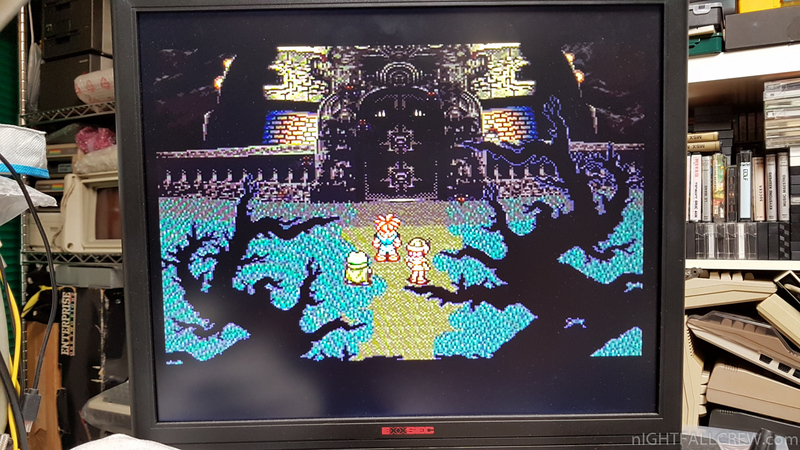 The photos with the LCD monitor use the SVIDEO output while the photos with the Sony CRT monitor use the RGB output. 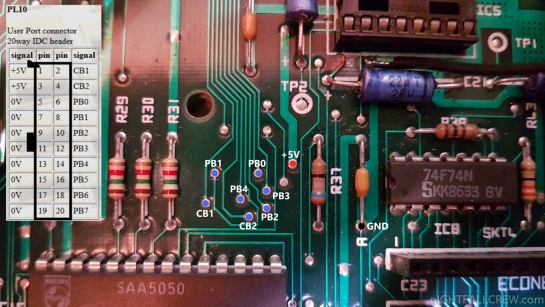 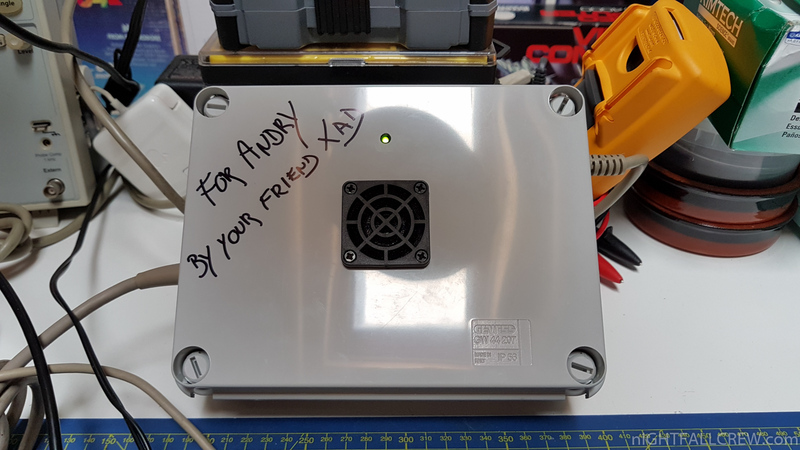 The photos and the schematic describe very well the work that needs to be done, the hack is not complex but you always have to be makes particularly attention to the SMD (CXA 1645M) side welds. 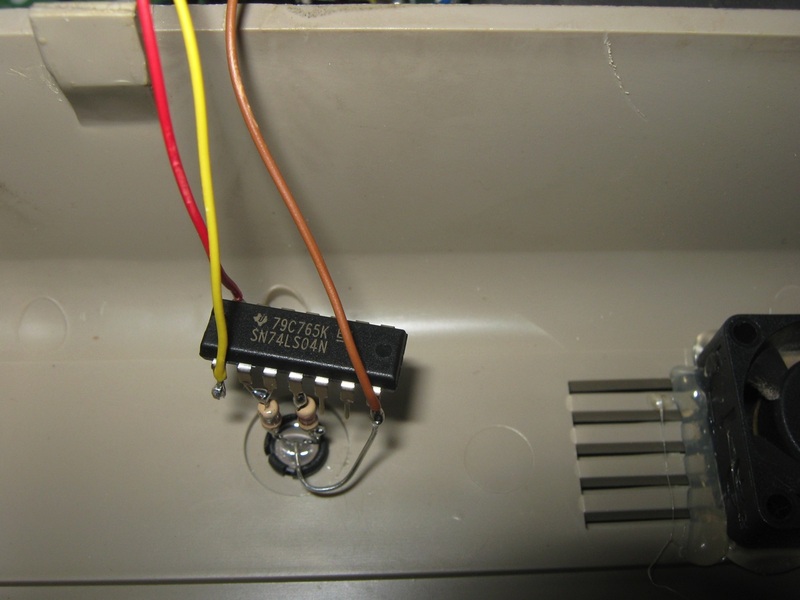 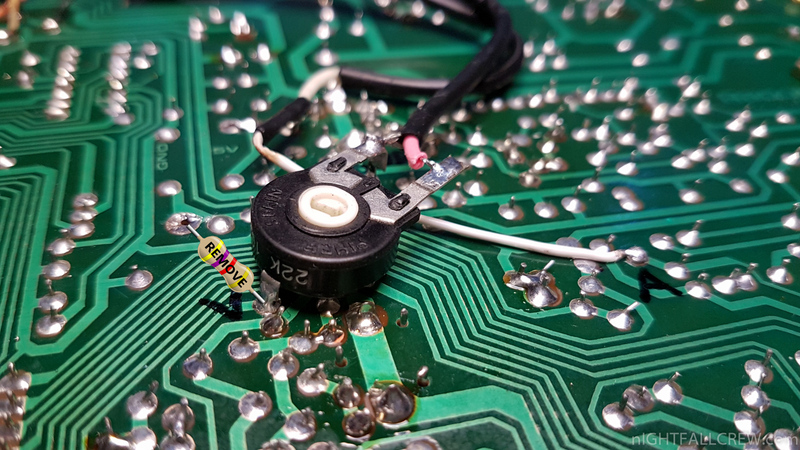 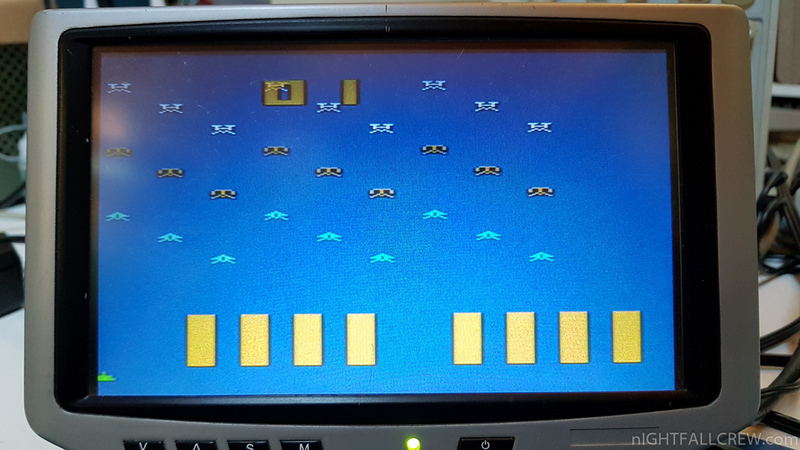 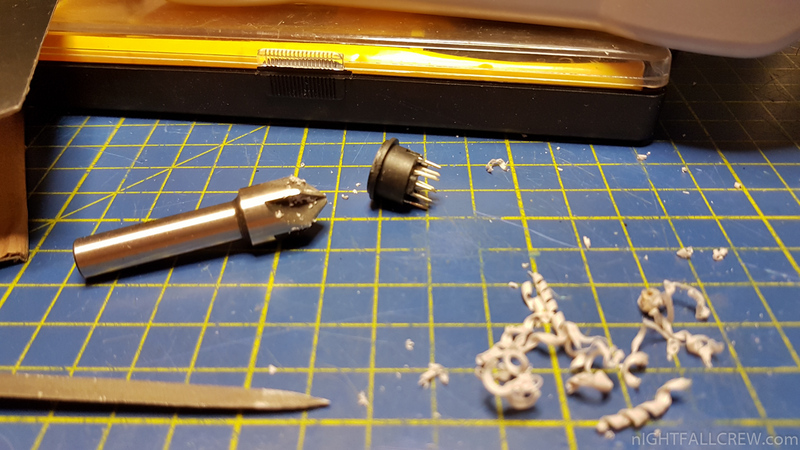 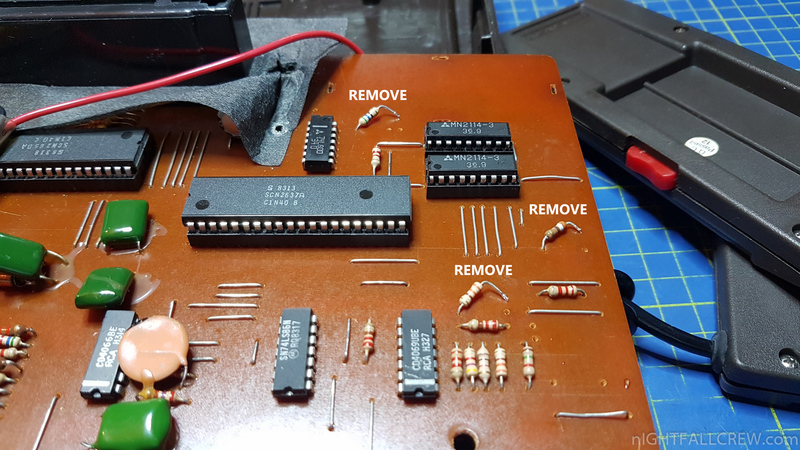 Texas Instruments TI-99/4A – Alpha Lock Joystick Fix. 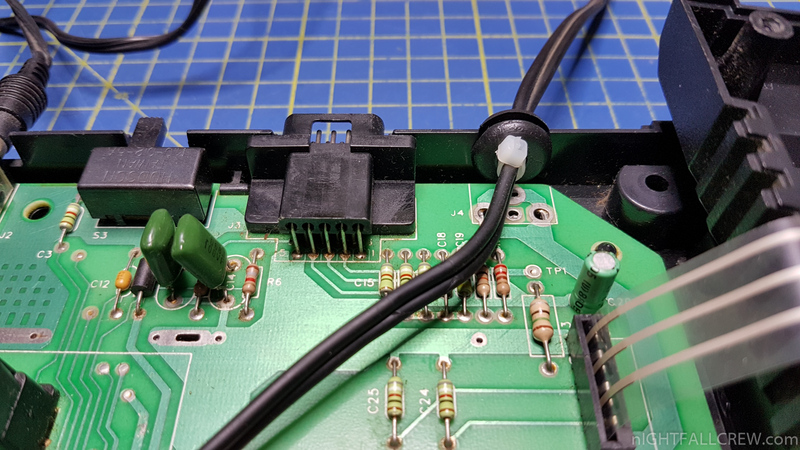 This mod fix the problem of the alpha-lock key that need to be up or down when you are using joysticks. 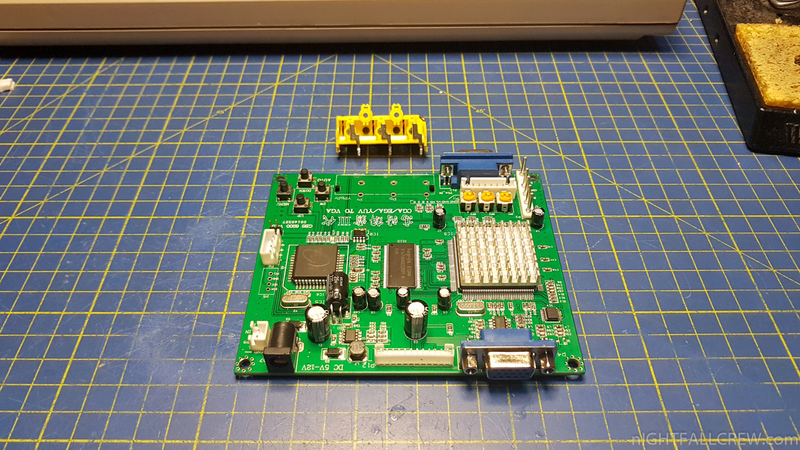 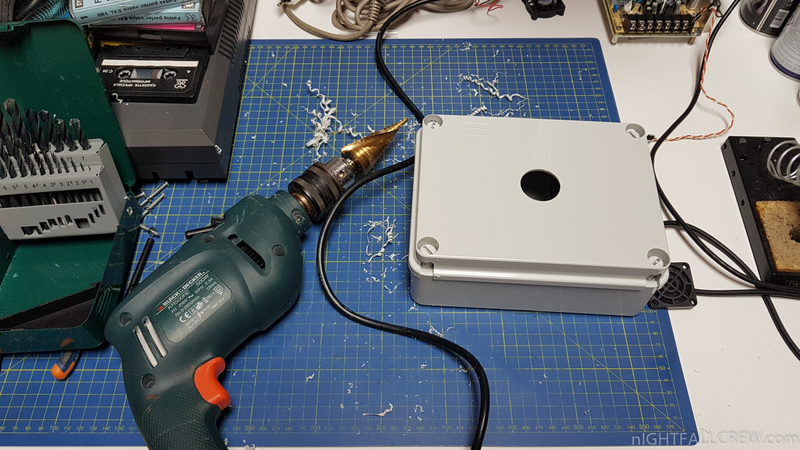 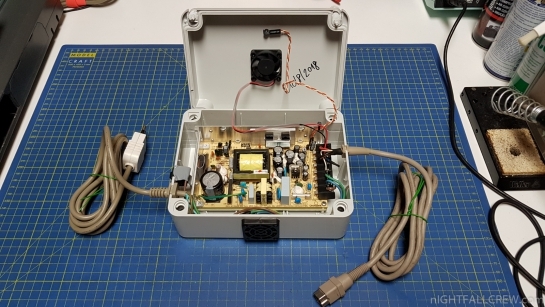 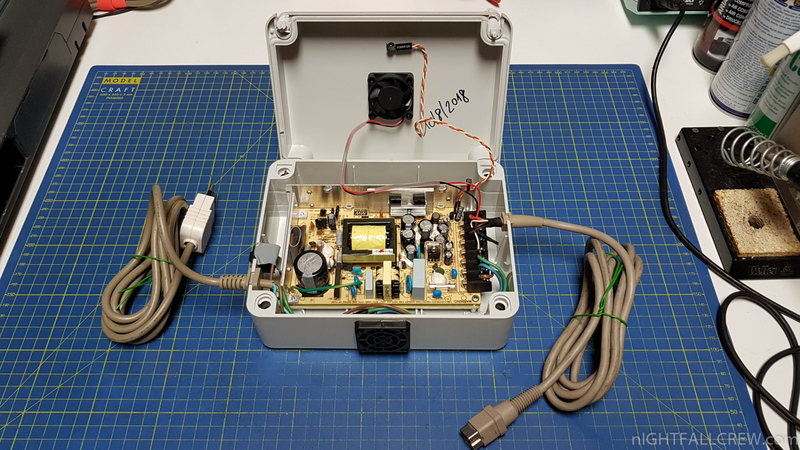 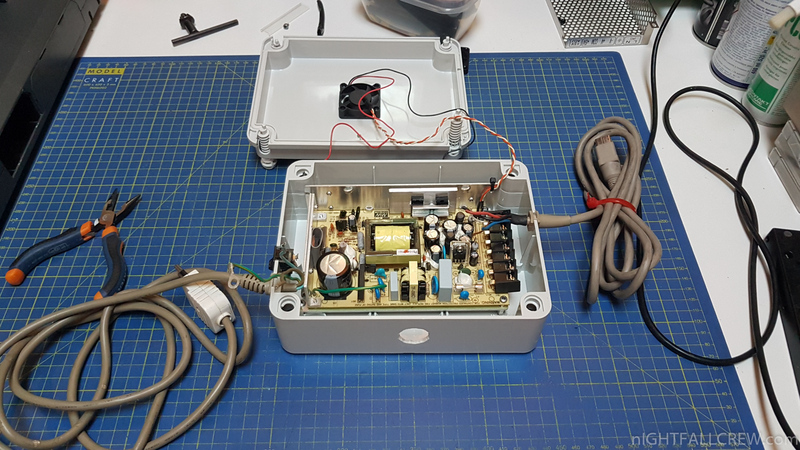 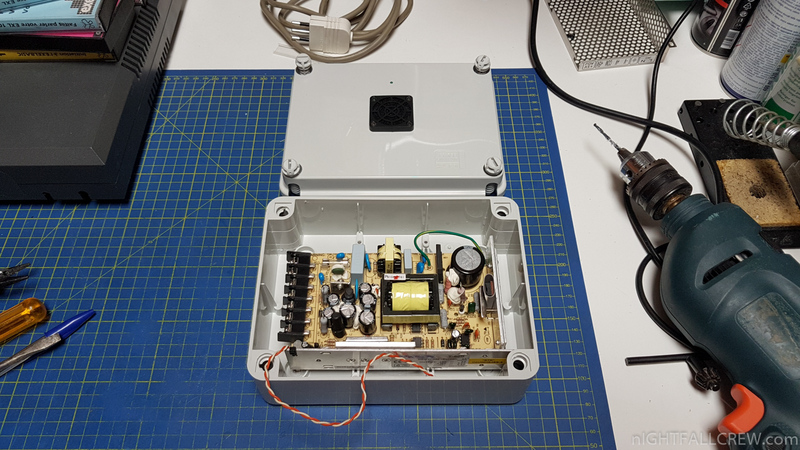 This project allows you to increase the speed of your console from 3mhz to 3.58mhz. 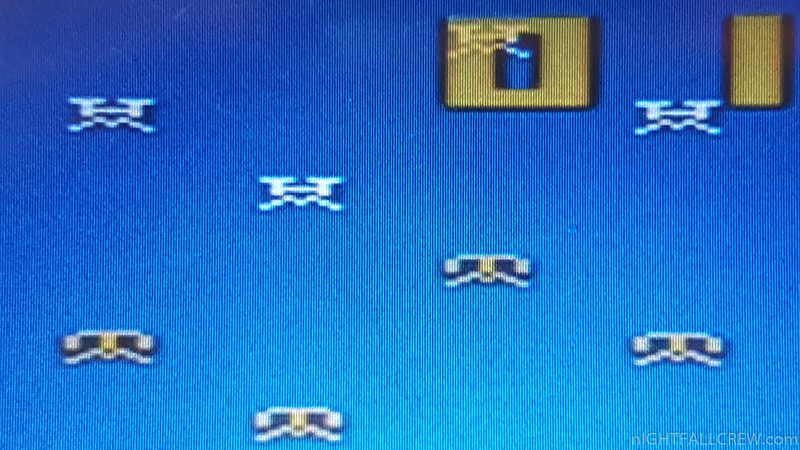 It might not sound like a big increase but this is a 20% increase in speed and it is easily noticable. 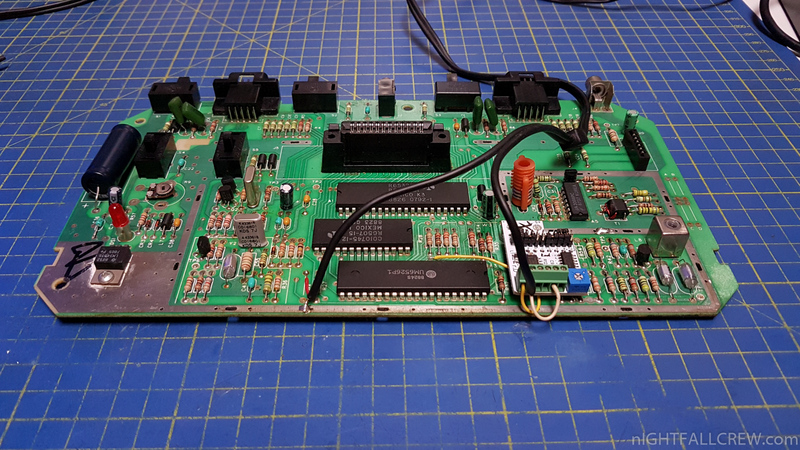 Texas Instruments TI-99/4A – Internal TMS5220 Speech Synthesizer. 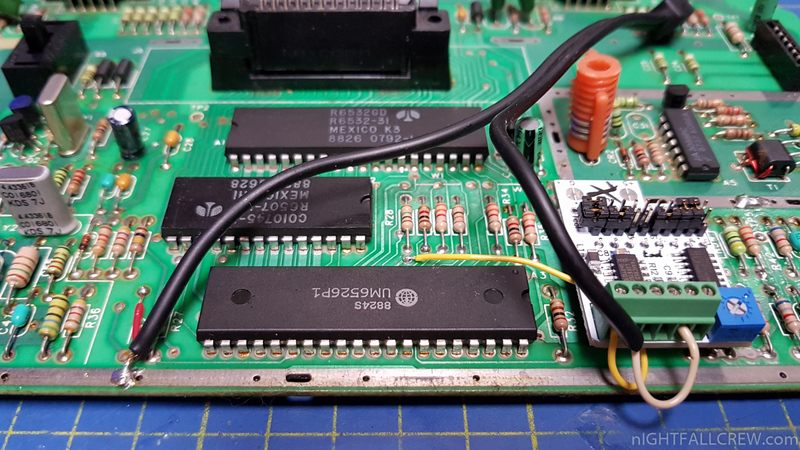 Texas Instruments TI-99/4A – 32k Internal Expansion Memory + Status LED + Reset. 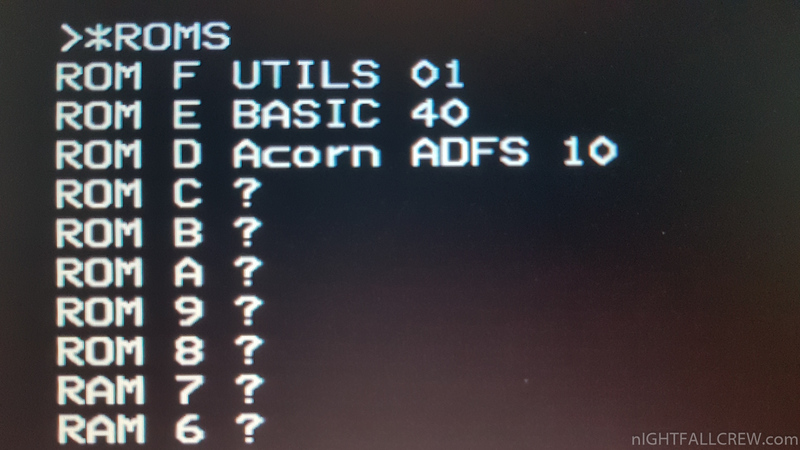 Switch for disable the Expansion Memory. 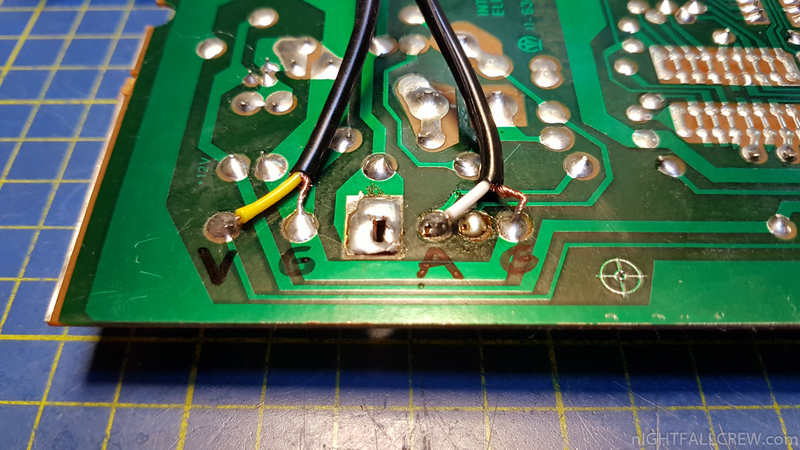 Replaced the resistor for the LED from 2.2k to 220 ohms. 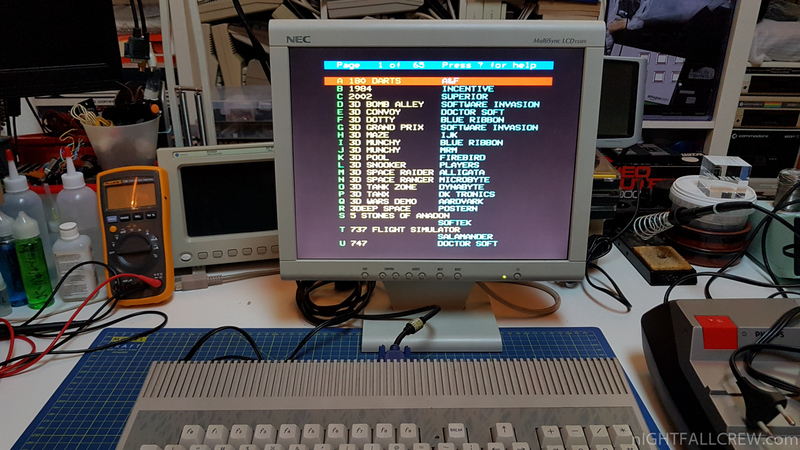 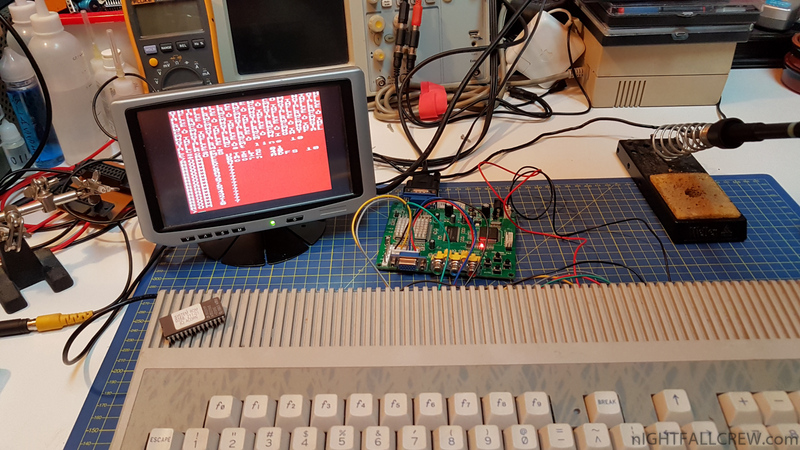 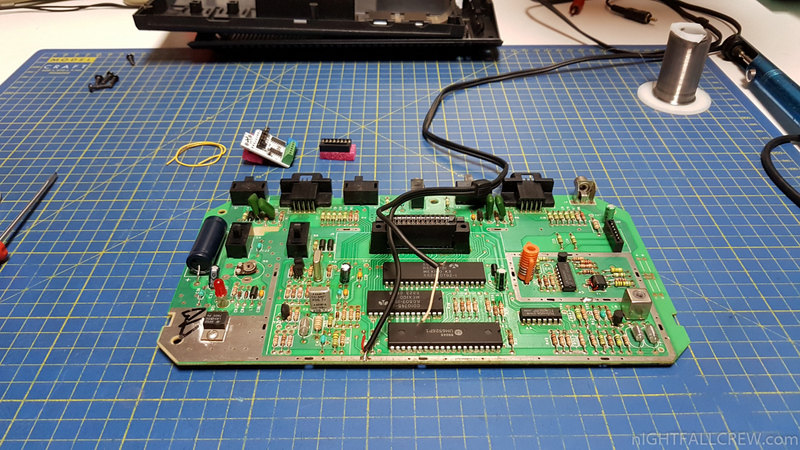 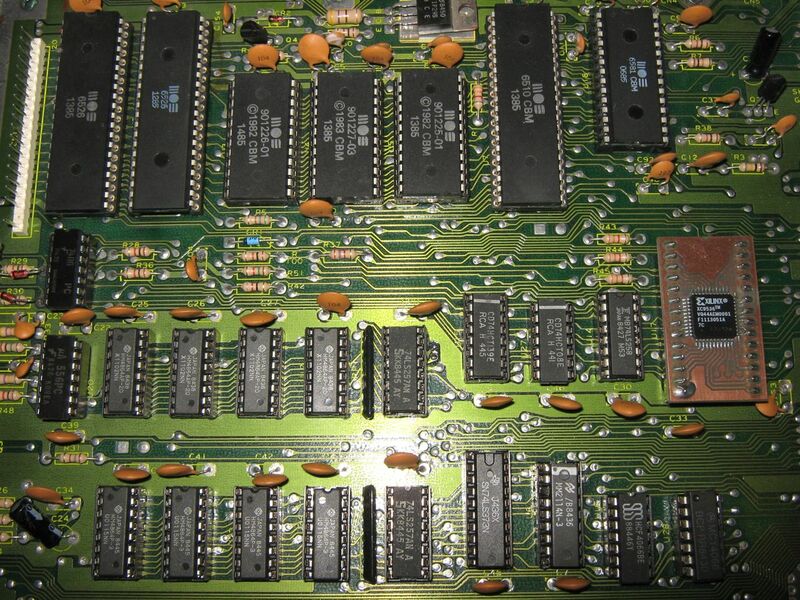 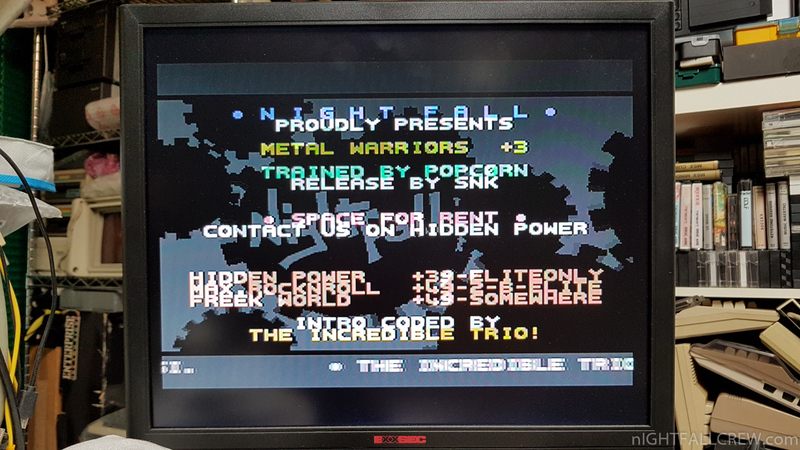 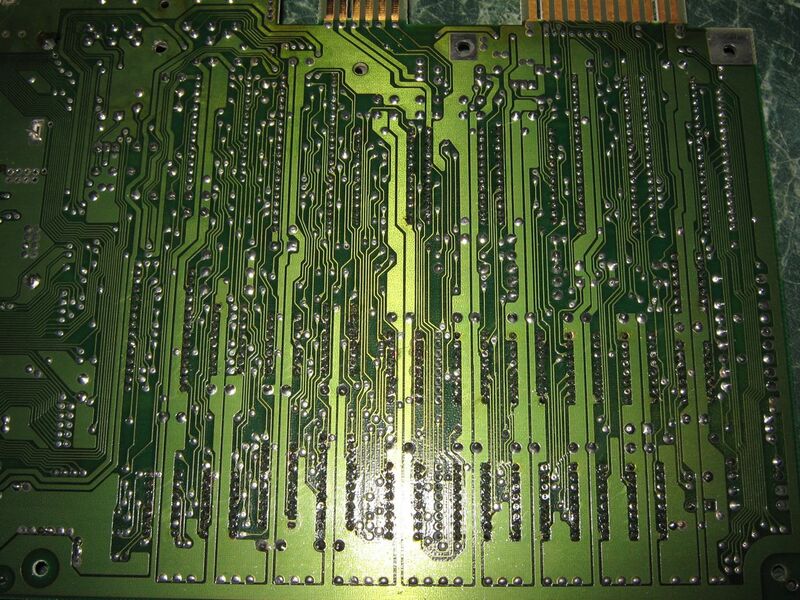 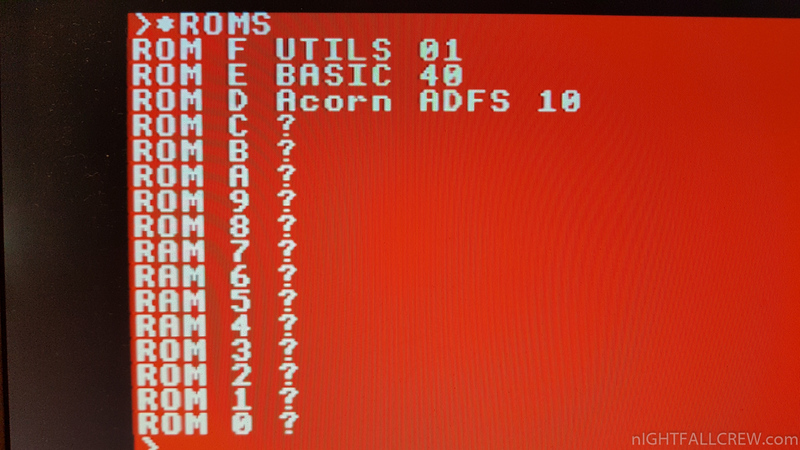 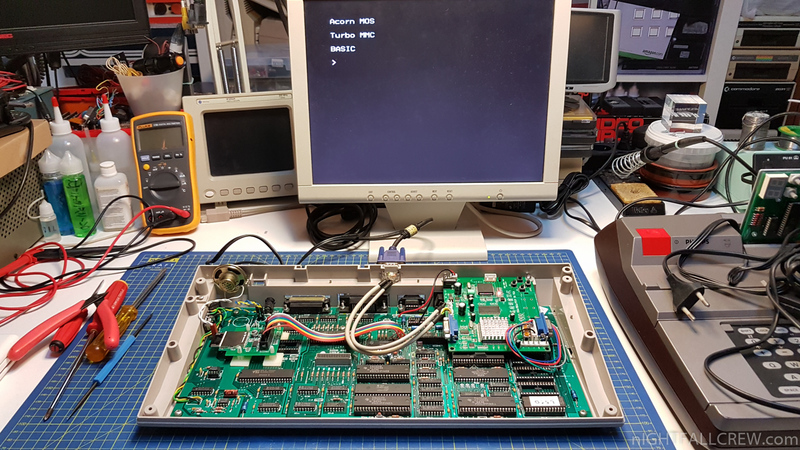 Texas Instruments TI-99/4A – F18a (FPGA Based TMS9918A) Installation. 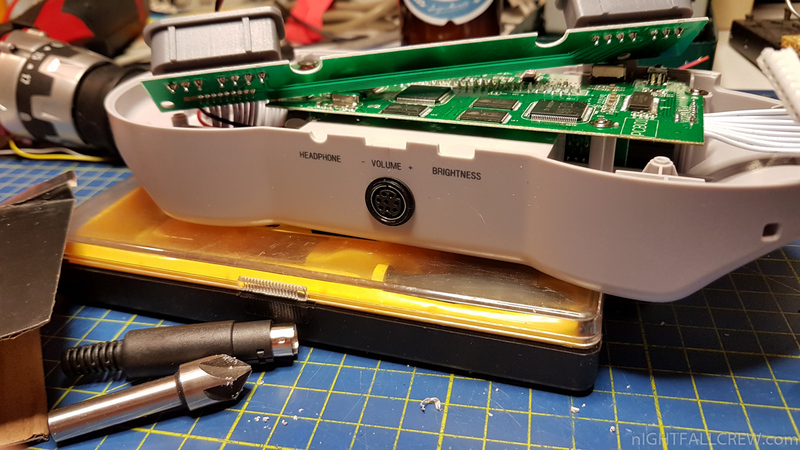 Installation of the F18a and removal the tape connector to make a opening for the vga connector. 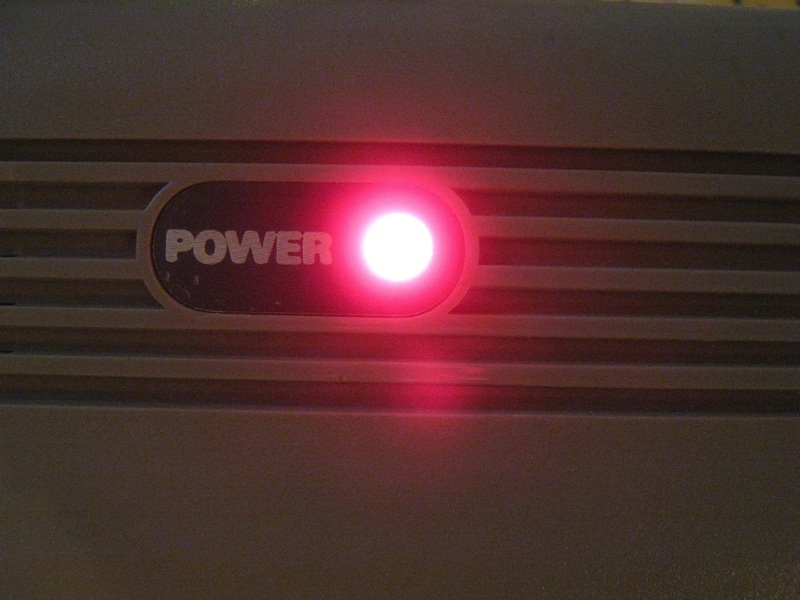 The metal cover is no longer used. 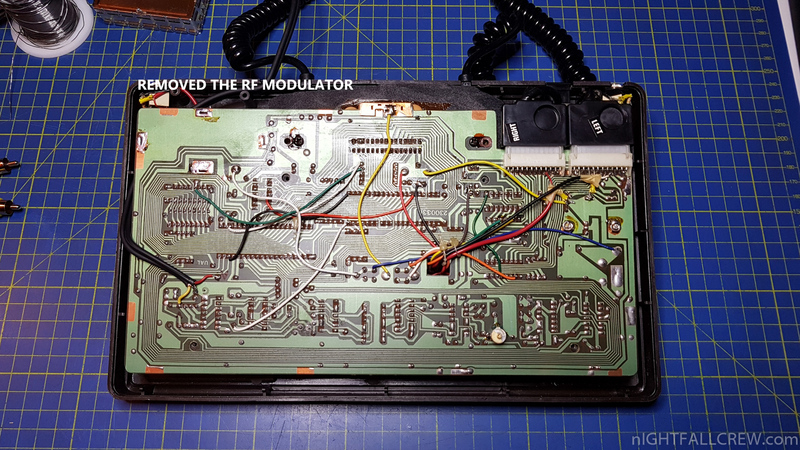 RCA 2 DIN Homebrew Adapter to use the audio output after installing the F18a on the TI-99/4a. 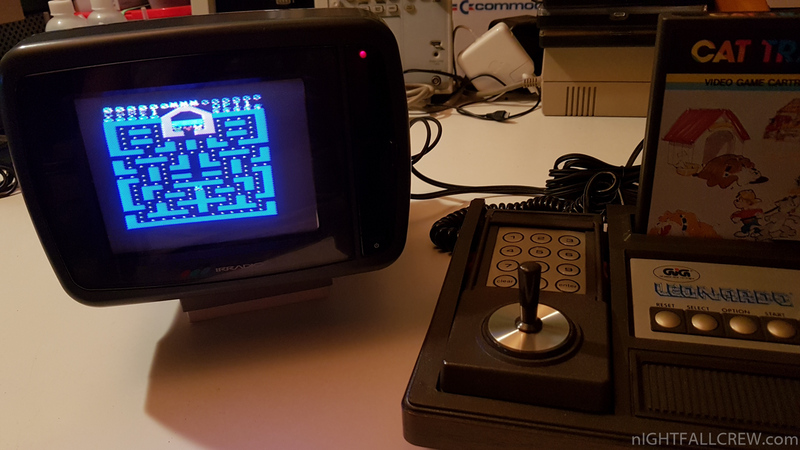 As you can see this is a control pad of the Ion iCade case. 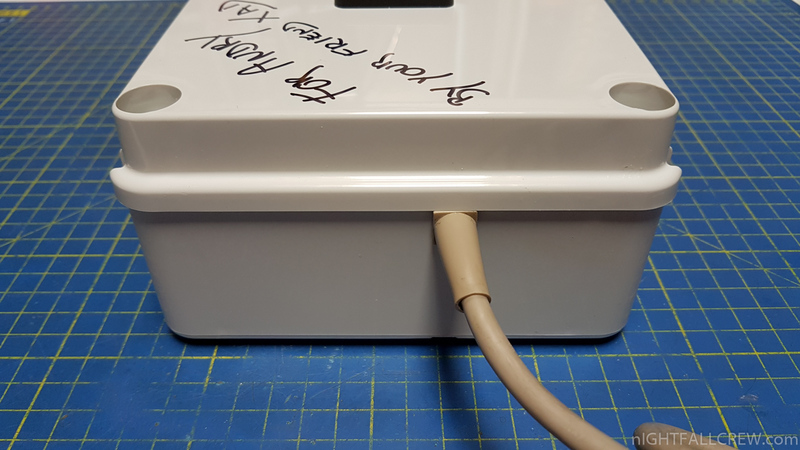 It is designed to fit an iPad and has a built in stand for holding it. 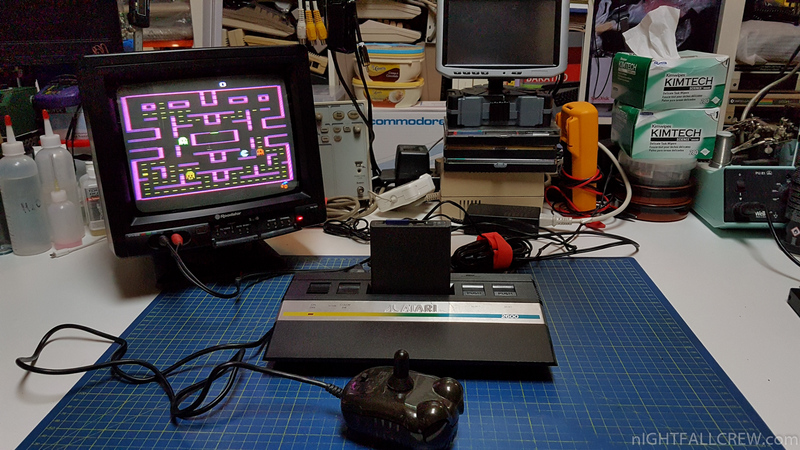 The iCade is designed to work as a Bluetooth keyboard of sorts with an iPad. 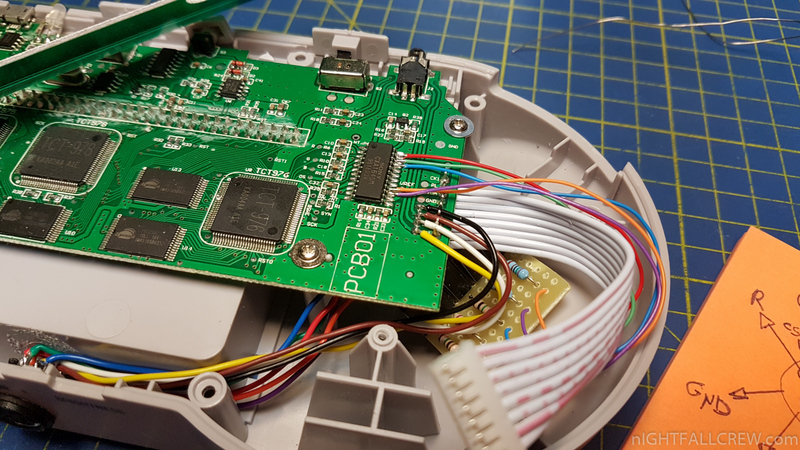 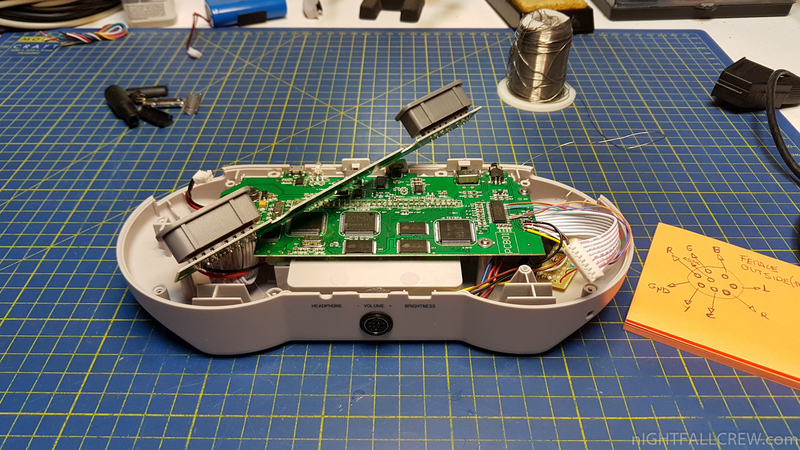 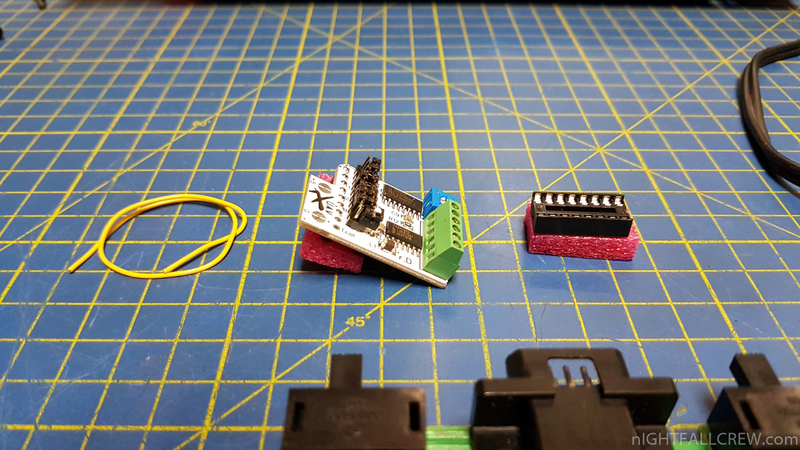 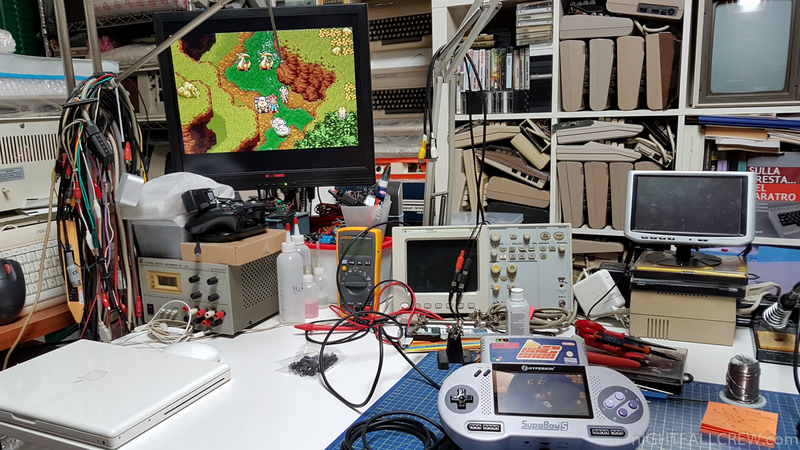 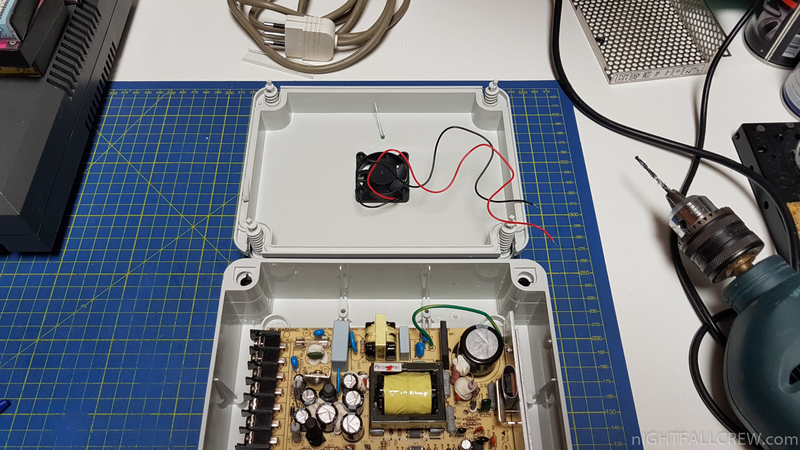 It uses a standard arcade control wiring and is very easy to modify it to work with any interface can convert the signal from Analog to USB, like the PCB of a Logitech Dual Action joypad.